Beginning in 1994, the U. S. Department of Housing and Urban Development (HUD) encouraged communities to address the problems of housing and homelessness in a coordinated, comprehensive, and strategic fashion. With input from practitioners throughout the country, HUD introduced the Continuum of Care (CoC) concept to support communities in this effort. This concept was designed to help communities develop the capacity to envision, organize, plan comprehensive and long-term solutions to addressing the problem of homelessness in their community. 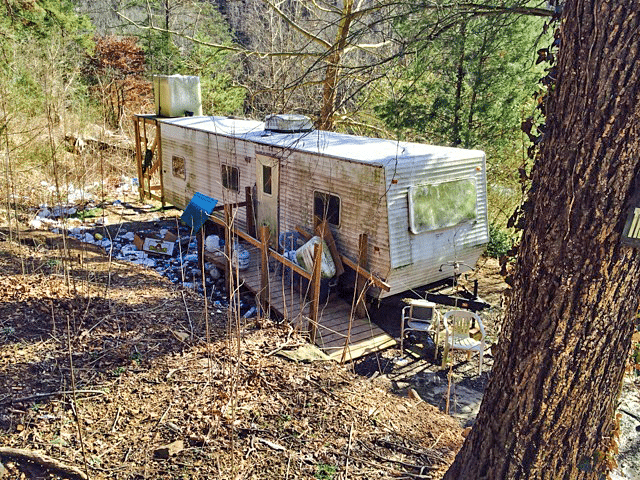 For years after this, the various providers of services to the homeless in Northeast Tennessee attempted to create their own Continuum of Care. These failed. A lack of cohesiveness, an unwillingness of individual agencies and cities to compromise and work cooperatively were to blame for those failed efforts. In a scenario not uncommon in Northeast Tennessee, and in the homeless service provider community at large, turf wars frustrated the need for cooperative approach to services for the homeless. In 2000, another attempt at reconciling differences between cities and agencies to create a CoC was made. With the help of a newly created program through the State of Tennessee, Creating Homes Initiative, a position of Regional Housing Facilitator, funded by the state, and technical assistance provided by HUD, the homeless services providers were once again asked to pull together to create a legal entity that would satisfy the HUD requirements for a Continuum of Care, thereby opening a new stream of federal funds to fight homelessness in Northeast Tennessee. Multiple meetings were held. Legal counsel was recruited. A core group was assigned by homeless service providers of the task of working out the compromises necessary to move forward and creating the entity we now know as ARCH. Throughout the years of 2002-3, a core group of Todd Barkman, Ron von Essen, Chris Ford, Donald Minor, Rodney Robinson, Dan Rosenbalm, and Ron Scalf met with Jeanne Price (Regional Housing Facilitator), Tim Matheson (Legal Counsel), and Pat Morgan (HUD technical assistance) to forge the coalition that would meet the needs of Northeast Tennessee. Throughout their work, the group constantly reported to the homeless services community their progress on making the compromises, establishing the relationships, and creating a Charter and By-laws that would make ARCH a Continuum of Care recognized by HUD. The group’s goal was to assure that Northeast Tennessee could benefit from the additional funds available to Continuums in their efforts against homelessness. On July 25, 2003 those efforts bore fruit when the initial ARCH charter was filed with the state of Tennessee with Tim Matheson, legal counsel, as sole incorporator. ARCH was formed and incorporated to do the strategic planning necessary to avoid duplication of services previously found in our area, and instead coordinate efforts thereby maximizing efficient use of funds. This corporation, ARCH, was also tasked with filing the application (or Exhibit One) allowing federal funds to flow to our area. Without the organizational structure created and maintained by the ARCH Charter and By-laws, no federal funds (totaling $11M dollars to date) could have flowed into Northeast Tennessee for the various agencies to use to fight homelessness. Like almost every nonprofit, ARCH had no membership. Instead, ARCH worked cooperatively with its community partners to meet the needs of the homeless population in Upper East Tennessee. Through this partnering, along with aiding with grant applications, directing partners as to where efforts can best be directed, and marshaling the assets available for the most efficient use of limited resources for our homeless population, ARCH began to realize its mission and goals. On January 13, 2004, the ARCH Corporation was turned over to its first Board of Directors; some were the same individuals that had led the organizational effort. Members included were: Ron Scalf, President; Dan Rosenbalm, Vice President; Todd Barkman, Secretary; Ron von Essen, Treasurer; Dr. Donald Jeanes, Retha Patton, Nathan Blye, Donald Minor, Jeanne Price, Thelma Falin, Chaiba Bloomer, Mahan Archer, Rodney Robinson, Terry Cunningham, Wanda Williams, Lucretia Sanders, and Crocket Lee. The board immediately turned to the task of obtaining IRS nonprofit status, which was accomplished quickly, and ARCH received a provisional acceptance on January 22, 2004. ARCH was then opened for business. The HUD Continuum of Care designation allowed for the funding of a Homeless Management Information System (HMIS). ARCH applied for this funding and received a grant to start the system they use today. ARCH then began to eye the landscape for other grant opportunities to keep the organization running. The cities contributed some funds, fundraisers were held, but times were tough. There were no paid personnel until Todd Barkman was hired as HMIS coordinator to fulfill that obligation to HUD. For many years, due to lack of funds, there were no other employees. While ARCH desperately needed an Executive Director and the Charter and By-laws provided for that position, lack of funds prevented the organization from any hiring. Through this period, the Board of Directors – all unpaid volunteers – put countless hours into the continuation of the effort. The volunteers took time off from their paying jobs to keep the books, write grants, answer questions from HUD, attend HUD conferences, meet with hospitals, cities, and community leaders to get the word out that ARCH was open for business and willing to help with homeless services in any way. Volunteers contacted various nonprofit homeless service providers to aid them in grant applications. They offered free legal counsel to other services not incorporated and without IRS nonprofit status, so that the gaps in services to the homeless might be filled. And through their tireless efforts, ARCH began to take shape. Various board members came and went – over 30 in all – , but not until late 2008 was ARCH in a fiscal position to hire its first Executive Director. Since then ARCH has had one other Executive Director. Even today, ARCH finds itself struggling for fiscal balance. But through the commitment of those original core members, along with the help of many since then, ARCH continues to grow, thrive and serve the needs of the homeless in Upper East Tennessee.